Students at schools that contract with healthier school lunch vendors perform somewhat better on state tests, according to a recent paper by economists. Researchers collected data from the California Department of Education on school districts' meal vendors for the 2008-2009 and 2012-2013 school years. Data from nearly 9,700 elementary, middle and high schools found students at schools with meals that scored higher for nutritional value had an increased performance between .03 and .04 standard deviations. It's an increase the report noted as "modest on an absolute scale," but "highly cost-effective for a human capital investment." When school boards are going out and contracting with these vendors, what they're thinking is that they're going to improve the health of the students, that they'll get them to eat healthier. I don't think they're thinking of it as a tool to actually improve academic performance [but] we found that it is. Something that is basically cheap, that is going to improve student health, and that has test-score gains seems like it would be very attractive to policymakers. This is the first large-scale study examining the correlation between school meals and standardized test score achievement, according to study authors. But it's not the first time healthy eating has been linked to better academic performance. Existing research shows student participation in the USDA School Breakfast Program is associated with better grades, reduced absenteeism and improved cognitive performance. And hunger due to insufficient food intake is associated with lower grades, repeating a grade and an inability to focus among students. Children need the right foods to keep them going through the day so they can carry out their tasks of learning, playing and growing. Healthy food will give them enough energy to last the school day and will also provide the building blocks for a healthy adult. Two simple rules to remember when grocery shopping are: The fewer ingredients on the label the better; and if you can't pronounce it, you probably shouldn't be eating it. You can never go wrong if you choose "whole foods." Whole foods are foods that are unprocessed and unrefined, or processed and refined as little as possible before being consumed. They typically do not contain added ingredients, such as sugar, salt, or additional fat. The study found that it cost roughly $222 per student per year to switch from in-house lunch preparation to a healthier lunch vendor that correlated with a rise of 0.1 standard deviations in the student's test score, according to The Atlantic. To put that statistic into perspective, healthier meals could raise student achievement by about 4 percentile points on average. In comparison, it cost $1,368 per year to raise a student’s test score by 0.1 standard deviations in the Tennessee STAR experiment, a project that studied the effects of class-size on student achievement in elementary school. 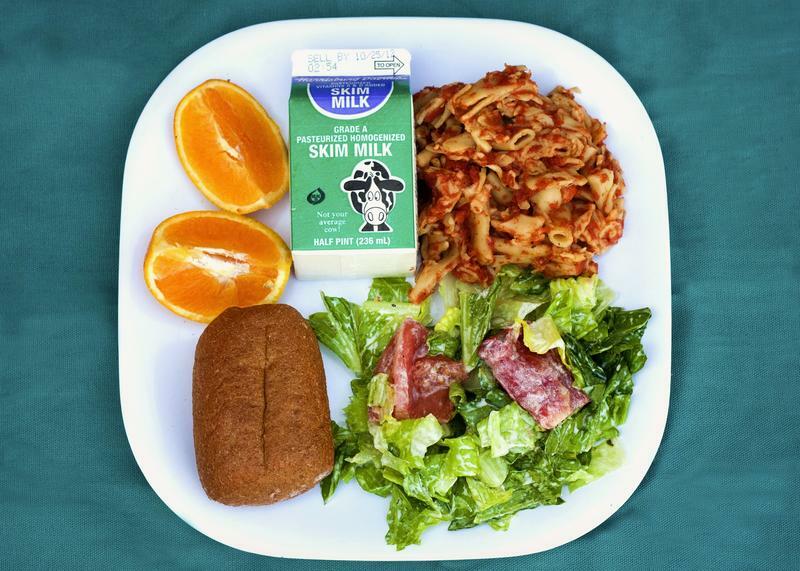 The effects of healthier school lunches on test scores could be most pronounced in schools with majority low-income populations, according to the study. Students eligible for the reduced price or free lunches are the students most likely to eat the lunch offered at the school, for two reasons: the price is lower for them than it is for ineligible students, and eligible students are less likely to have other lunch options. Furthermore, the nutritional quality of their home-provided meals may be lower than that of the average student. Thus, we hypothesize that the academic benefit of having healthier school lunches will be largest for these students. It's going to take more than a healthier school lunch to see big improvements in academic performance. But this research suggests it could be a good place to start.